Last updated, September 20th 2016. Unplugging the headset might fix the problem. It might be related the version of razer synapse which is not playing well with some games. A workaround: setting the audio device default format to be 2 Channel, 16 bit, 48000 Hz seems to fix. We are actively looking for a reproduction rule and a fix. It’s on our to do list! Have a problem? Report your issues (with as much detail as possible) via THIS LINK. Is it ok to Let’s Play, stream or monetize videos of Furi? I have difficulty moving during the walk sequences, any help? Yes: press X (or A), and your character will auto-walk to its destination. Relax, listen to the music, to the story, and get ready for the epic fight to come. What are the threshold scores for rankings in Story Mode? Story mode rankings reference scores. What are the threshold scores for rankings in Practice Mode? Practice mode rankings reference scores. I feel there is a delay or a lag when I want to dash, is that so? There is no delay or lag, but you feel it because the dash is on the « release » of the button. The dodge is on the « release », not the « press » of the button. There is absolutely no delay, BUT you need to release quickly to do a quick dash. If you hold longer than 0.1s, you’ll start to charge your dodge. Until a threshold, the more you charge, the further you go. This is very useful (and necessary in the late game, or even early in the last phase of boss 2, The Strap, when she swings her laser head back and forth). There IS a 0.2s cooldown between two dodges. If there wasn’t you’d basically be invincible. But there is in no occasion a challenge or a pattern that requires to do two dodges in such a short timeframe. We can attest that all the bosses can be done with 0 K.O., 0 hits as the game is, and without luck (there is very little random). « Furi available now on PS4 and PC Steam! I’ve run into issues in Close quarters where holding the right stick he’ll go into boost and come out of it immediately right after going into it even though I’m wanting to get said boost. Don’t suppose this has popped up for anyone else on ps4 by chance? If you hold the stick and wait without getting interrupted by the boss, you should be able to get your boost. Easy to try on close quarter on phase 2 of boss one, he won’t ever attack. Can you try with another gamepad? No other player reported such a bug. It « looks » like the stick detection is interrupted, like if the gamepad was a bit worn out. I think it’s more a hardware problem unfortunately. Tried a different controller and that seemed fine. Downside is the right trigger has that charged shot problem, doh. Oh well with the patch next week I’ll get by. Thanks for the responses though, Furi is amazing. During the Fight with The Strap. In the beginning of Phase 4 (Where she runs away from the player) She reappeared on the entrance zone of the Arena and was stuck and unable to get attacked. Happened during Story Mode on PC. Also draw a quick sketch where i mean. Thanks for reporting! We’ll investigate. Let us know if that happens again. i got a trouble related to gamepad on pc: as soon as the game connect my gamepad seem to be stuck in a up left direction. the gamepad is a Thrustmaster 4 dual analog. it seem the problem come from the game as my driver are up to date and i never had issue with this gamepad on any other game. 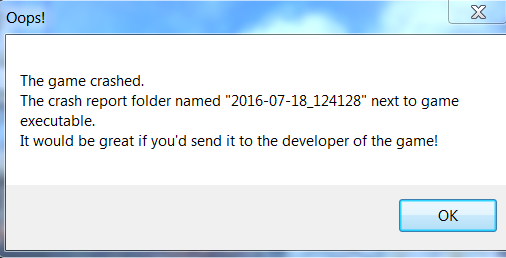 Is there something I should do, or is it alright to just inform you of this crash? Thanks for reporting the crash. If you can write to us at [support at thegamebakers dotcom] and send us more information on your PC config that would be useful! Also, when you restarted the game, the save was correct right? You had passed the boss? The save was correct when I restarted the game, The crash happened as soon as I enter the portal to the next level after I defeated the 7th boss. I’ll also send my PC config at the Support Game Bakers. Do we have to face the enemy to pary ? No you don’t, if you parry at the right time but with the wrong orientation, your character will automatically face the enemy. On the later phases of the Star, the player’s charged beam overlaps the boss projectiles, making them essentially invisible and thus very hard to dodge. Is this intended? It’s not intended to make them hard to see, but it’s intended that the laser is on top of the projectiles. Somehow we feel it’s still possible to dodge the bullets. It’s actually one of the best bossfight to make a 0 hit. I dont know how I encounter it but when I have finished Furi with the assimilate ending, the thing that show you the time hits and KOs as well as your rank (A,B and such) I tried to press the X button (played it on PS4) and it seems that im stuck. Cant preas the X button so I cant go back to the menu. It.happens to me when I was trying to get an S rank on story mode. It happen three times now. All I can do is quit via ps button and go to xmb menu…..
Hi, sorry to hear about the bug. Did you encounter that bug recently (week of 18th of July) or after? In PS4 I have encounter a very serious bug. When i died and i still have Health bar left but bosses just stand there and my heath does not recover the fight does not restart. i wait for it for few min but does not helps. i start having this problem during the song boss but the bug is rare. Sadly after i complete the game its happen more and more often And happen with every boss i fight. -Les vidéos disponibles dans la section « Comment jouer » souffrent de problème de framerate. Le deuxième bug que je signale est le même que celui que JEFFTHECOP a signalé. Pour ma part, je l’ai surtout ressenti sur le niveau de « La Pointe ». 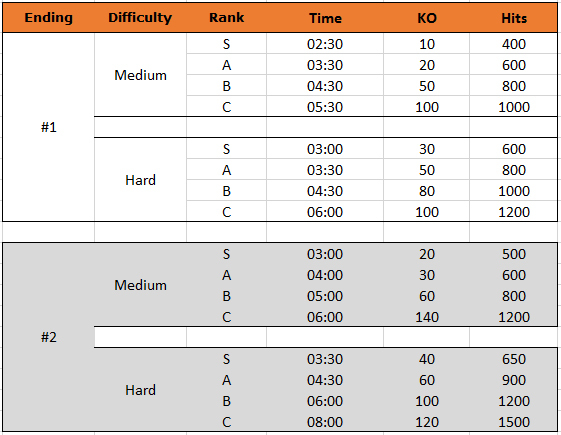 Guys, you have probably error in the counter towards S rank on boss The Burst (Furi difficulty). I’ve managed to beat her in 9:30, 0 KO and 20 hits and it gave me A rank (thanks to the number of hits). Your sheet counts with 30 possible hits. Will there be general framerate fixes in the future ? Game seems to run awful on mid/low-tier PC’s on which the game should run fine. My Geforce GT 720 runs games like Shadow of Mordor, and Batman Arkham Knight well on medium-ish settings, while Fury on Fast mode is almost unplayable. Are you playing on a laptop? Sometimes windows decides to use the motherboard graphic chip instead of the graphic card. you can force the game to use the graphic card in the graphic card options. The game should run fine with a GT720 so there’s something wrong in your setup, I think. after the 9th boss, when you finally escaped the prison, my character is not able to run, so I can’t get to the next destination in time before the credits start rolling and the game ends. It’s really frustrating, because I saw other videos where the game goes on. So basically I am not able to finish the game because i can’t run for some reason. I think the game runs fine, you just need to wait for the end of the credits, then at the very end, after 10s, it will open up again on the big plain and you’ll be able to run to the tower or explore. I have a problem with my controller. Namely all buttons but the left stick have no effect when being pressed. I can navigate through the menu options and walk ingame but pressing any button other button has no effect. The other buttons are being recognized by the game as it indicates the medium you are using in the bottom left corner of the screen(switching from keyboard to controller) in the menu. Hopefully, that works for you. Merci Sébastien pour le retour ! Effectivement on a changé la couleur du curseur sur les niveaux qui nous avaient été rapportés comme problématiques, mais on avait pas connaissance de ce problème sur The Beat. On le note et on l’ajoute à la todo list ! Merci pour le support et les encouragement et bravo pour avoir finit le jeu ! Hey I cannot stream furi on obs I go to game capture select furi and nothing happens please help! Sorry to hear that. But that must be on your end, there is nothing on Furi to prevent streaming, and many players did successfuly. Hope you’ll find what’s wrong! Thanks for reporting the bug! We’ll look into it! Does it happen all the time? On what config? Une sortie est à l’étude ou c’est un non catégorique ? On aimerait aussi ENORMEMENT voir Furi sur Switch. Ce n’est pas encore prévu mais on y pense très fort. On préviendra sur ce blog, notre twitter et facebook dès qu’on peut s’engager sur quelque chose ! I’m having an issue where the player character doesn’t show up. I’m at level 5 just after defeating the diver guy, and right at the beginning of the fifth stage the portal closes but the character is nowhere to be seen. so I am unable to play the game any further. Any suggestions as to what I should do? that’s the first time we have this bug reported. What platform are you playing on, and from which store/version? If you’re on PC, what’s your setup? HI again, the problem seems to have resolved itself, not sure how though. Perhaps the problem lies within my PC itself, anyway thanks for the response.